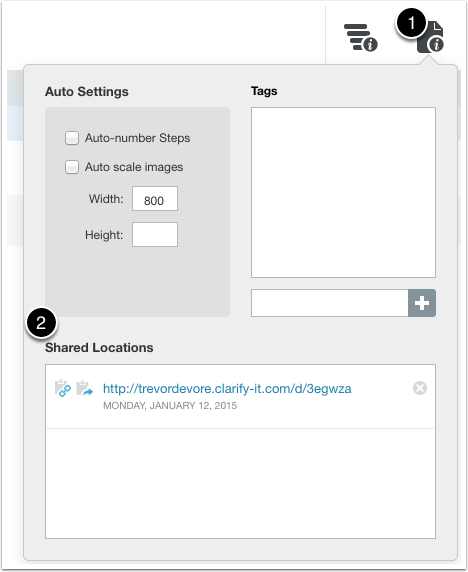 When you upload a document to a shared location Clarify remembers the URL. If you upload the document again then the same URL will be updated with the new document content. This article will show you how to break the connection between a Clarify document and a shared location. This is useful if you need to upload a document to a different URL. Click on the Document Properties button (1) in the toolbar. 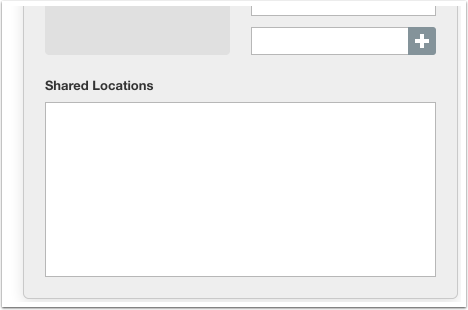 This will show a list of Shared Locations (2). Click on the delete icon next to the shared location (1). A dialog will appear asking you to confirm that you want to break the link. Click Break Link to proceed (2). The document will no longer be linked to the shared location. The next time you upload the document it will be located at a new url.